Announcement Each piece is handmade to order in Tulsa, Oklahoma (made in the USA!) 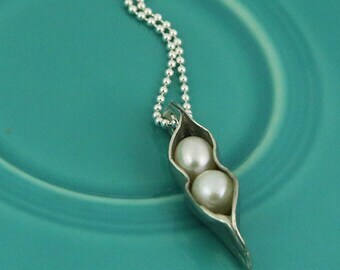 Our jewelry is created just for you and will be perfectly imperfect, please expect some variance from the pictures and slight imperfections as every piece is a true one-of-a-kind treasure! 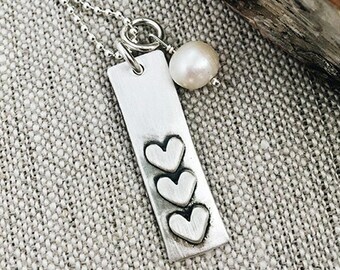 Our goal is to create handmade and handstamped jewelry that is meaningful and unique. Please allow 1-2 weeks for all items to ship, thank you! 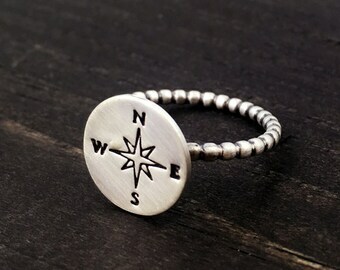 Each piece is handmade to order in Tulsa, Oklahoma (made in the USA!) Our jewelry is created just for you and will be perfectly imperfect, please expect some variance from the pictures and slight imperfections as every piece is a true one-of-a-kind treasure! 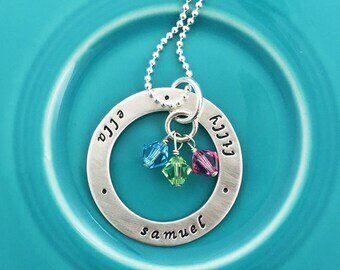 Our goal is to create handmade and handstamped jewelry that is meaningful and unique. As always they never disappoint. 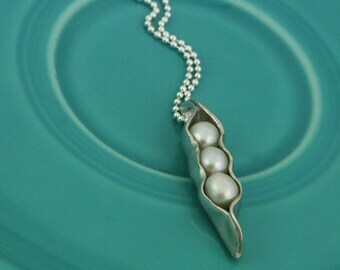 Love my necklace. Terrific! Glad to have my word for the year become wearable. Thanks for the quick shipping. I got this bracelet so quickly!! I ordered it late and thought it wouldn’t arrive before christmas, but it did! I also seemed to order it too big, but my mom contacted the seller and was able to get it resized. My husband also ordered me the tiny stamp necklace and I adore it. I’m sure I will be back for more items. Thank you! 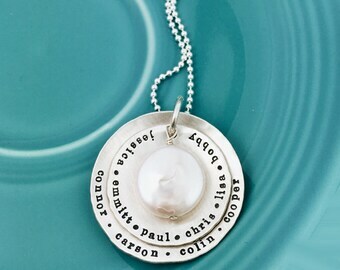 Please know that you are buying a hand stamped piece- meaning each letter is hand stamped by hand, no machines are used. 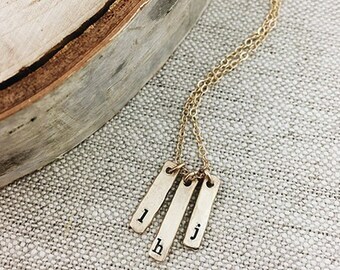 The letters will not be perfectly straight, thus adding to the charm of a hand made item! I want you to be completely happy with your piece. If you are not happy for any reason please contact me immediately! Please type in your custom info in the notes box at checkout, placing a comma in between each name. If required please let us know silver or gold in the notes section as well. Please convo me here on Etsy (please do not email me) with any extra instructions. Due to large volume it's much easier if all notes are kept here on etsy! Production time is currently 1-2 weeks. We ship USPS Domestic Priority, transit time is 2-3 business days. USPS International Priority, transit time is 1-2 weeks.